US 50 to SR 48 to rt into Sunrise Estates. Property on right. Sign on. You've finally found it! 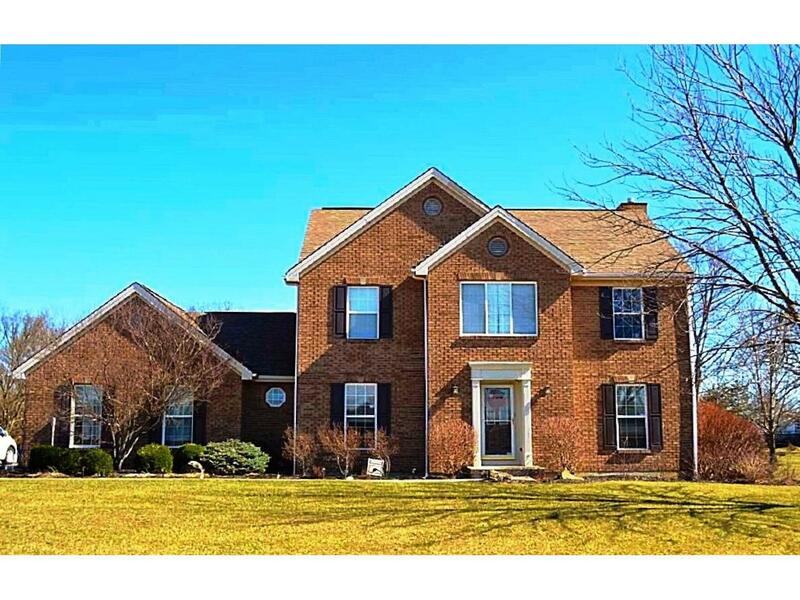 Majestic 2-story brick Traditional in Lawrenceburg school district! Wonderful location close to town on over 1 flat acre. 4 bdrm, 2.5 bth, office, solid surfaces, finished LL. Many upgrades. Great floor plan w/ versatility. Room for in-ground pool, passing balls, soccer practice. Easy access to Interstate.